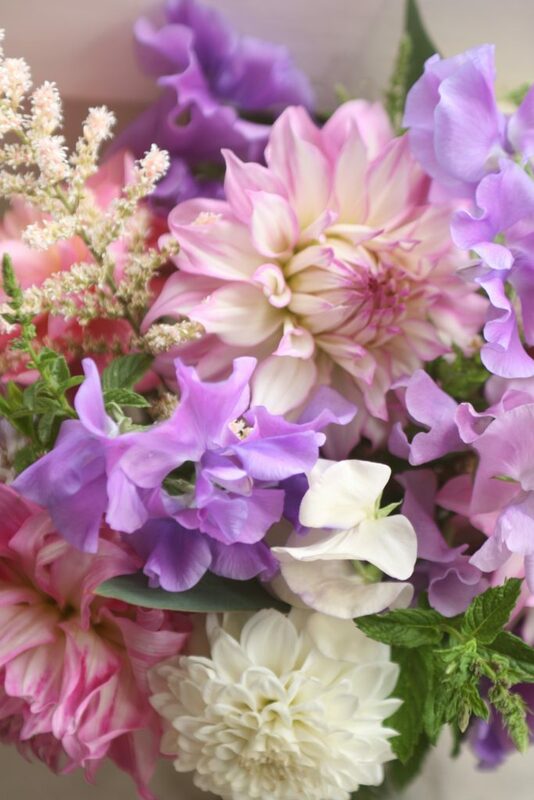 The cutting garden is in full bloom at the moment with lots of gorgeous varieties available for weddings. 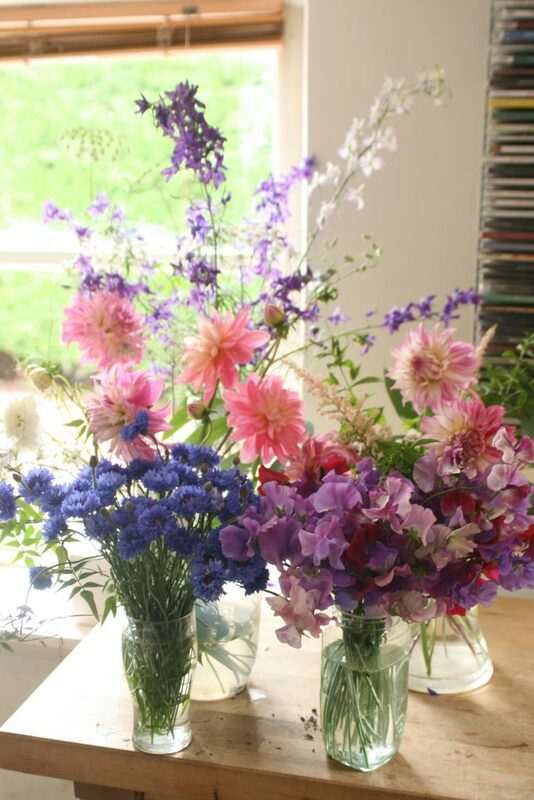 I have been trailing lots of new varieties this year including cornflowers, larkspur and globe thistles as well as my ever growing obsession with new dahlia varieties. 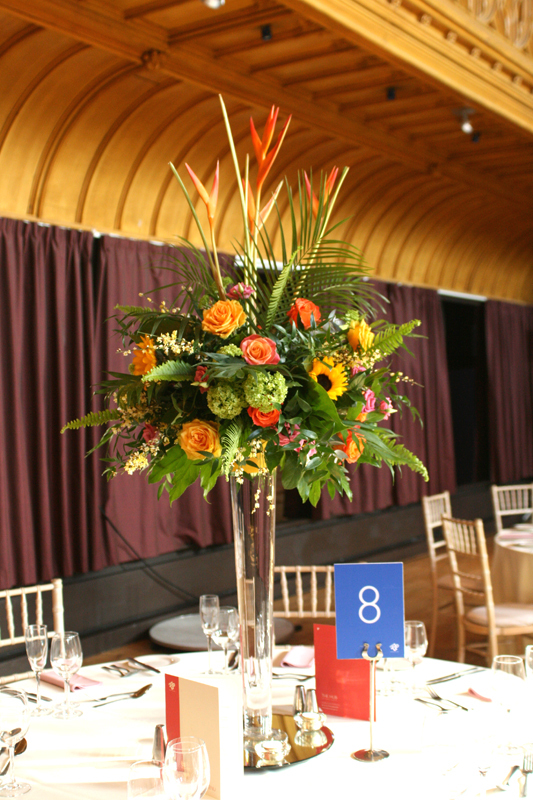 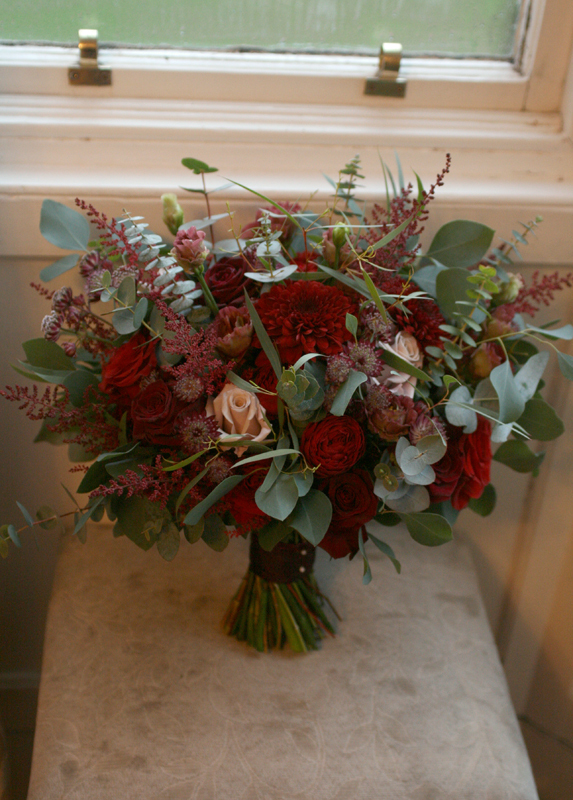 This bouquet was created using only flowers and foliage grown in our garden. 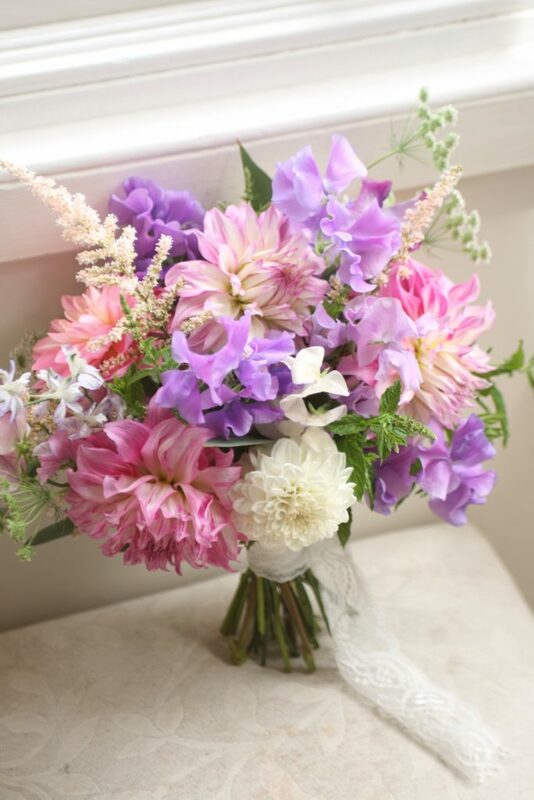 The bouquet includes 3 x varieties of dahlia (blue moon, white aster and Gerry hoek), sweet peas, astilbe, larkspur, ammi, eucalyptus and herbs. 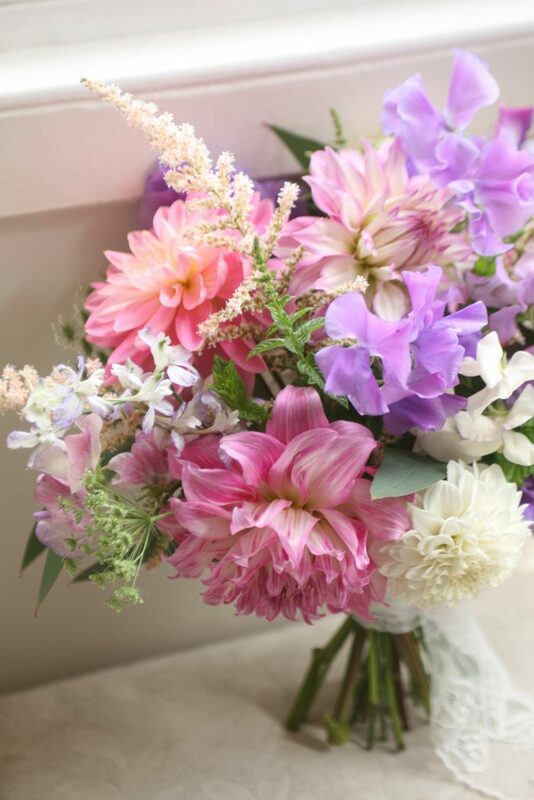 The scent was amazing!